For the first time, Panetone’s Color of the Year 2016 brings together two shades -- Rose Quartz, a soft pink, and Serenity, a muted periwinkle-blue. To get the dreamy pastel look, choose Diamond Vogel’s 1069 Pink Touch and 0596 Lazy Day. Through the Pantone Color Institute, Pantone charts future color direction and studies how color influences thought, emotions, and physical reactions. 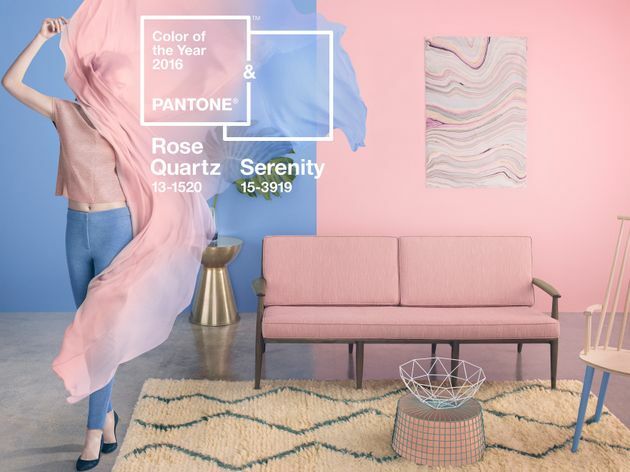 Pantone chose the two subdued tones for 2016 due to their soothing natures, something the Institute believes consumers will be eager for in the coming year. “Joined together, Rose Quartz and Serenity demonstrate an inherent balance between a warmer embracing rose tone and the cooler tranquil blue, reflecting connection and wellness as well as a soothing sense of order and peace,” said Leatrice Eiseman, executive director of the Pantone Color Institute. ● Rose Quartz is a persuasive yet gentle tone that conveys compassion and a sense of composure. ● Serenity is weightless and airy, like the expanse of the blue sky above us, bringing feelings of respite and relaxation even in turbulent times. The saccharine blend works together in a variety of interior spaces. 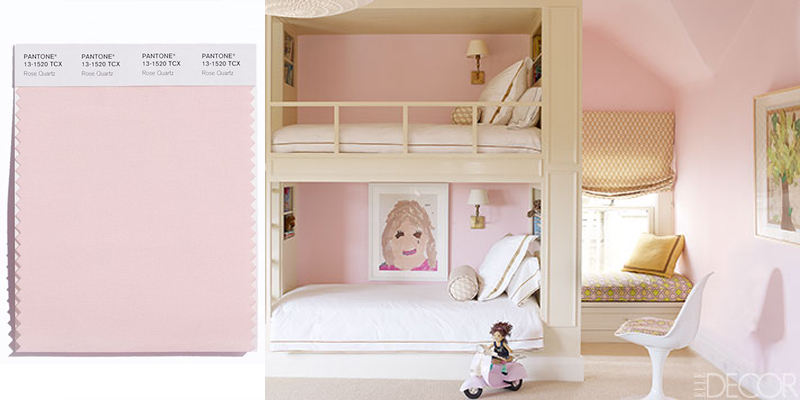 Pair Diamond Vogel’s Pink Touch and Lazy Day to create a calm and relaxing space on the cutting edge of color trends. Whether you prefer glossy or opt for a flat paint finish, Pantone’s engaging color combo works well with other mid-tones -- think greens and purples, rich browns, and all shades of yellow and pink. Want to add a wow-factor to your walls? Accentuate with silver or hot brights for more splash. Inspired by Pantone’s color projections, we’ve created some no-fail color palettes featuring Pink Touch, Lazy Day, and complementary colors. The 2015 color of the year was Marsala, an earthy wine red.